I came across this awesome video on ThisIs50.com, rapper 50 Cent’s online blogging community. 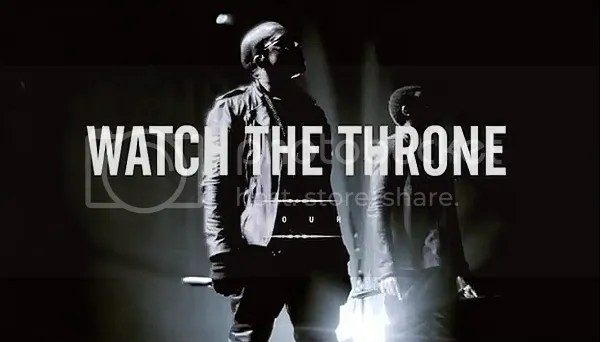 As an attendee of the Watch the Throne concert at the AAA (Where the Miami Heat play) in Miami, I can’t even begin to explain the level of high energy throughout the entire show. It was like the best party that anyone could ever go to… THE ENTIRE SHOW! In this video Kanye talks about the vision that he has always had for himself in terms of music, and the responsibility that he now bears as a result of his success. I love that he recognizes that celebrity is just a stage to use one’s talents and gifts as a platform to better mankind in some way because of one’s very presence… Yes, even if it is just to inspire them to pursue their dreams.